Introducing the Bowers & Wilkins Formation® Suite – the first wireless audio system that lives up to the exacting standards of Bowers & Wilkins. Exclusive Formation® Wireless Technology combines perfected speaker synchronization, a proprietary mesh network, and industry-leading 96/24 high-resolution sound. That means an immersive, seamless, wired high-fidelity soundstage, wirelessly. Here at Audio Advice, we are lucky to have some of the most loyal and engaged customers in the world. Each month, tens of thousands of people interact with our brand, visiting our showrooms, working with our experts, and reading our content and monthly Earsay newsletter. Recently, we haven’t been publishing as many blogs, reviews and Earsays. Many of you have reached out to check on us -- a gesture that only confirms our hunch that this exciting new venture for our company is going to be a great success. We would like to apologize and let you all know that the wait is over and the content you’ve been waiting for is now available! It’s always been important to us that we evolve. In 1978, we were one of nearly two dozen stereo shops in the Triangle area. 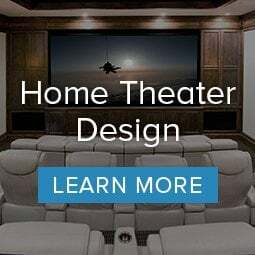 As home theater and home automation became available, we challenged ourselves to be the best home technology integrator in the Carolinas. No matter how our industry has changed, we have always stayed focused on three things -- curated products, world-class showrooms, and exceptional people delivering superior experiences. We strive every day to exceed all of your expectations. After years of analysis, in 2015, we assembled a team of eCommerce experts from industry leaders and began developing an online shopping experience unlike anything that’s ever been done in the audio/video space. Our cutting-edge site is live as of October. We believe that what we’ve built not only lives up to our reputation but also sets a new bar in our industry. 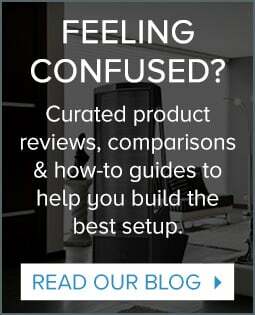 Our hope is that this site will enhance your relationship with Audio Advice--but obviously, will never replace the unique experience of working with your salesman in our world class showrooms. For others around the country, this may be the closest thing they can get to the Audio Advice showroom and consultant experience. For many younger people, they may not even know how good their favorite music can sound. 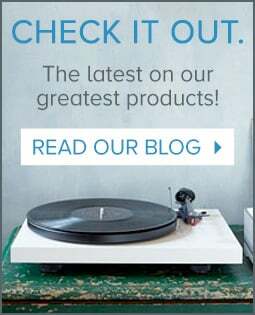 We’ve made it our mission to provide access to the knowledge and types of products our local customers enjoy and to educate and inspire the next generation of music listeners. When exploring the new site, this should be your first stop. Visit our homepage and click the orange box that says “Begin Your Custom Experience.” From there, you will build your Sound Profile, through a simple, six-question interactive quiz. The entire thing will take less than 3 minutes and will tell us enough about you to personalize your shopping experience. We’ll recommend products and advice that we think you’ll enjoy. Out of the gate, our online experience will focus on three primary product categories -- headphones, turntables, and music players. We will continue our tradition of only offering products that have been thoroughly tested and meet our stringent guidelines. If we don’t carry it, you probably don’t want it. 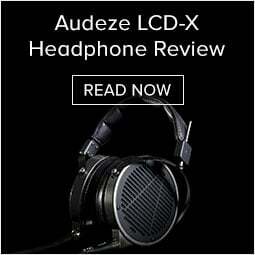 If you consider yourself an audio enthusiast, you’ll love this one. Most eCommerce websites simply take the manufacturers specs and put them on their page. Comparing products between brands is a huge headache and undertaking. There are no industry standards for specs, so you never know what you’re going to get. We decided to take it upon ourselves to create a standard for each product category. We worked closely with our vendor partners to launch the most comprehensive spec lists available anywhere. Now, it’s easy to compare products side-by-side and get the details you just can’t find anywhere else -- just like you are used to when coming to our stores. Our customers are like family to us, and it means the world that you care about what we’re doing. We would love for you to browse the site, share it with friends and family, and provide us with feedback. We are committed to constant learnings and improvement and would love to hear what you think.